Taurus&apos; footsteps call the two back to reality for a moment, demanding Sebastian&apos;s attention. "Now teach him. Don&apos;t hold back." He chuckles darkly, retreating again to leave the room after wishing Sebastian &apos;good luck&apos;. As soon as the door closes, Sebastian scrambles to unchain the prisoned boy. "I&apos;m so sorry, Ciel. Did he hurt you? Did he lock you in too tight?" "Not at all. I was actually quite frightened, though. I heard you saying that our contract didn&apos;t matter." Ciel steps forward, still admiring Sebastian&apos;s new appearance. "He had to know we have a contract. It&apos;s not too odd, though. A lot of Juven end up making short term contracts with older demons to learn things from them." "But I don&apos;t have a soul to give you." "You may not have a proper soul... but you do still have a body." Ciel&apos;s cheeks warm slightly, remembering the screams he heard coming from several of the neighboring rooms. Then he realizes what Taurus is expecting of them. "Well that could mean a number of things... couldn&apos;t it?" "Oh yes... and it does." Sebastian frees Ciel&apos;s contracted eye from the eyepatch slowly, releasing his vision from its confinement once more. "I must teach you how to switch, now. Then I can meet with Taurus to ask him a few questions." Sebastian leads Ciel into the center of the room, backing up far enough as to see him wholly. "Call me Corvus while around others. I don&apos;t want anyone hearing my real name." "I thought Corvus was your real name?" "Yes... I suppose it was my given name. But I consider the name you gave me my real name, Ciel." A light blush taints Ciel&apos;s cheeks as he fidgets there in the circle. The entire situation has been absurd from the start. 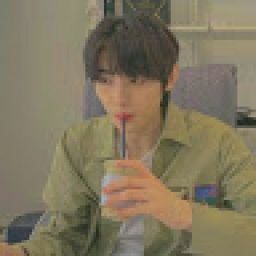 It is almost amusing how, in such little time, one could go from such a state or arrogance and pride, to be thrown into the depths of hell to deal with a someone whom you&apos;d anticipated to end your life. Sebastian clears his throat, signaling Ciel&apos;s thoughts to come crawling back to reality. "Alright now... I want you to focus on serenity." Ciel&apos;s attention is drawn back to the room, his doe-like eyes focused and proud as a Phantomhive should be. "Yes. Close your eyes. Think of absolute peace. Feel relaxed as you drift into sedation." Ciel&apos;s arms drop to his sides, his eyes are closed as he feels a warmth travel up his spine. It feels like sunlight dancing along his back, yet the kind of sunlight you see only on cloudy days... sad yet alluring, covering the entire sky in a deluded kind of strength. "Very good... now think of truth. No lies. Only you... you are all there is. Focus on my voice." "You... you&apos;re very good at this." "No, my love... you are." He feels something soft floating around him, but he barely takes notice in the feeling of the slight draft surrounding him. His mind is still at ease as the smells of a garden in spring assault his nose with its perfume-like smell. "Mmm... you&apos;ve taken to this easier than most." Ciel&apos;s eyes snap open and they are greeted with the view of black rose petals floating in the air around him... the fallen leaves fluttering as it all disappears. "What do you mean, Sebastian?" Ciel&apos;s mind is muddled with confusion. "You mean you&apos;ve taught others?" "Ciel I told you that I used to live with these demons... I am over a thousand years old. I am not slow to adit that they&apos;re are more demonic than most demons are... and I do not take pride in what I have done for them." Ciel&apos;s eyes are glued to the ground as he contemplates this. "I-I&apos;m sorry I just... I hadn&apos;t thought-"
"It&apos;s alright. Those days are far behind me. I haven&apos;t done that sort of thing in hundreds of years. I assure you... when one is young they are easily influenced by the lives of others." Ciel&apos;s eyes droop closed again, and Sebastian is baffled at how much Ciel has learned to trust him... grateful that he has. "Remember... you are a flower drifting through the breeze." Ciel does so, and is struck with a short bout of dizziness wherein the glimmering cave spins slightly. When his eyes focus back on Sebastian, he is walking towards the boy with a hellish smirk upon his hellish face. 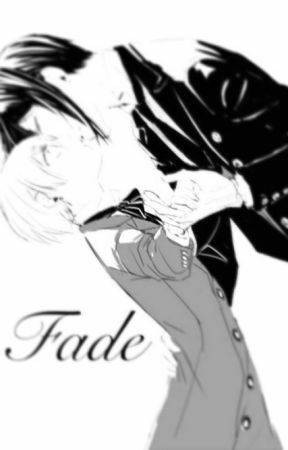 Sebastian takes Ciel&apos;s hand in his and spins him on his heel. His head is thrown back is the sudden enchantment before Sebastian&apos;s arms cradle him again as he graciously embraces the child. Ciel looks down at himself, and what he finds fuzzes his mind further. His feet are covered in black leather laced boots with a heel, the top of the shoe reaching his mid calf. The black knee high socks are a perfect color match to the netted and laced stockings he wears. His shorts of matching ebony embody little tuffs of lace of either side, small black and red roses lining the top of the embellishments. His shirt is ruffled with small, delicate pearls running down the front to his vest. Beyond this, a long, flowing bustle adorns his backside, the large bow crowded with a large red and black flower with spikes, pearls and leaves crowning it down to the long lace and netting that layers him down to his feet. He examines his hands, which are covered in lace down to his fingers, which are tipped with similar nails as Sebastian&apos;s... looking more clawed and fiendish than human. And above his high collar, he reaches up to find two small horns... curving down towards his toes; smaller little spikes of black ivory following his crown down to his ears. His skin does have the same strange coloring as Sebastian&apos;s, though it is lighter, less intense and noticeable. Looking less like charred flesh and more like a light dusting of ash. Ciel&apos;s attire is completely black... matching his mate perfectly as he pulls him closer; his nose mere inches from Ciel&apos;s. Ciel then feels two small, pointed fangs assaulting his mouth and tongue as he opens it to speak. Sebastian answers by planting a kiss on the young demon&apos;s neck... right next to his jawline.